To create a visually compelling page you need a page builder plugin for your WordPress blog. But which drag & drop page builder plugin works best for WordPress? I have started using a page builder plugin recently and happy to see the new look of my blog. Let’s find out most popular 7-page builder plugins, including my favorite one. If you are a blogger or internet marketer or affiliate marketer who is driving their online business through content marketing. If you are a website designer, you can check out these tools to design a stunning website for your client. What questions this article will answer? How to design a custom home page for my WordPress site? Which sales page builder plugin is best for WordPress? How to create your own deal page from scratch? How to use page builder plugin in WordPress? What is a page builder for WordPress? Why You Need This. 7 Best Drag & Drop Page Builder Plugins for WordPress. Which page builder plugin is right for you? Gone are the days when you need a website developer to build a professional website. But in the age of page builder tools, even a newbie can build highly conversion optimized landing pages for a website. In fact, the recent Gutenberg editor is proof of the change of trends. Although I have disabled Gutenberg plugin for my blog. But recently I have started using Thrive Architect plugin while designing a custom home page for my blog. Neil Patel shared an awesome article on the types of visual content need for your blog marketing. I found the below image from there which is clearly telling the impact of visually rich content. While there is no denying that you can build a website with WordPress with zero coding knowledge or website building experience, the whole process can be time-consuming. That is where drag and drop page builders for WordPress get into the picture. With such a tool, one can easily build awesome looking pages quickly. In this article, I am going to list out the top 7 WordPress page builder plugins 2019. Divi & Elementor Pro are 2 big names in this segment and they have much more features compared to Thrive Architect without any doubt. Before proceeding further, let’s compare Thrive Architect, Elementor Pro & Divi builder. Cost Effective: Elementor Pro will cost you a higher compared to Architect. And you have to pay renewal charges as well, although you will get a 40% Elementor discount on renewal. Thrive Architect is comparatively very cheap (only $67 for the lifetime). If you need their support then you have to pay little extra renewal charges. No Page Speed Issue: Divi is a website builder where Thrive Architect is a true page builder which is focused on designing your pages. Another thing is that Divi builder will impact on your website page speed. But Thrive Architect will work like butter without impacting your page-speed. Awesome Support: On top of that, Thrive Themes is one of the best places to find every single product you need to build a conversion optimized affiliate website. And if you are a Thrive Themes member, you don’t have to look beyond their package. Check my detailed review of Thrive Themes, where I have shared the detailed pictures of my communication with their support team. Best Tool Box: Thrive Themes is the expert creating awesome products which can convert your website into a money making a machine. Yes, they have every single product in their kitty to make your website highly conversion focused on your audience. All their tools are internally linked beautifully and that is the main reason I can easily design anything considering the color and style. Make sure you check the complete list of Thrive Theme products. So, invest in Thrive Architect Now. As their name suggests, these WordPress plugins simply require you to drag and drop elements of your website to help you create one from scratch in record time. And to make sure that you are not required to test every single drag and drop page builder available on the internet, we have selected some of the best ones for you. A lot of drag and drop builders show something different when you are building the website but things don’t remain the same once the edits are applied. 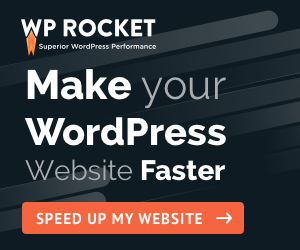 I kept this plugin as #1 page builder for WordPress as I personally used this plugin for my website and got stunning results. Just check out my home page. It’s a true WYSIWYG front-end editor. You can easily create your landing pages easily with the drag & drop interface. The builder is compatible with all the themes and allows you to add a host of elements like pricing tables, call to action buttons, social links, and more. Use any existing templates (more than 100+) to create awesome looking pages for your website. All the elements are mobile responsive, which will make sure your landing pages are always mobile friendly. No need to install a separate coupon plugin, just check out the deal page that I have created using Thrive Architect. This is one of the most affordable page builder plugins for WordPress. You just have to pay one-time and enjoy using updates for lifetime. Thrive Themes offers a number of different plugins for WordPress. So, you can either become a premium Thrive member to get access to all the plugins offered at the platform or just purchase Thrive Architect alone. Click Here To Go For 1 Site License @ $67 only. Click Here For Thrive Membership Plan @ $19/mo only. If you want your website building experience to be super simple and highly rewarding, Divi Builder from Elegant Themes can be the one for you. Divi is most popular as a website builder for bloggers. I kept them as #2 in my list of best page builder plugins for WordPress site. You get to choose from a wide range of elements to ensure that you build a beautiful website just the way you want. All the layouts are highly customizable and your creations will always be mobile responsive. There are many Divi child themes or skins available which will help you to build different looking sites for your clients with this page builder. Divi doesn’t come alone, you have to buy Elegant Themes package to get this. With this package, you will also get access to 80+ premium themes with many awesome plugins. Elementor Pro too is a very popular drag and drop page builder for WordPress since the time it was launched in 2016 and it has only got better with time. This one is the best Thrive Architect alternative and a true competitor of Thrive Architect. In fact, many people give this plugin as #1 page builder with lots of features. But pricing is one issue compared to Thrive Architect. This plugin is available as free as well as premium. So, it is good for a beginner to start with. You can easily use their visual form builder and create stunning pages. Use more than 100+ pre-designed page templates. E.g. post grid widgets and an innovative Embed Anywhere feature. This enables you to embed the layouts of Elementor throughout your website. $49/website for 1 year. You have to pay recurring charges every year. If you don’t want to spend several days on creating your WordPress website, Beaver Builder is an excellent solution. The drag and drop builder comes with several page templates which you can apply on your website within minutes. Once a template is selected, you can then easily add images and text before hitting the publish button. Perfect for agencies or web designers who offer services. Create stunning pages & website choosing from many ready-to-use templates. The plugin is compatible with every WordPress theme and all of the elements edited with the plugin are mobile responsive. Beaver Builder can be used for free but the pro version offers several amazing WordPress themes and more styles and layouts to help you unleash your creativity. The advanced module settings let you configure when the content is visible. $99/year for unlimited websites. Also, get 40% OFF Beaver builder discount on renewal. As per CodeCanyon, Visual Composer is the most popular paid drag and drop builder for WordPress. And it has achieved this milestone for all the right reasons. If you have used NewPaper theme from TagDiv, I am sure you came across about this page builder plugin. As visual composer is the backbone of NewPaper theme. Visual Composer is packed with several great features that enable you to edit the front-end as well as the back-end of your website. It comes with more than 40 modules and also has a built-in skin builder for limitless possibilities. The plugin is available in more than 8 languages and is one of the most feature-packed page builders on the internet. You can go for their single website plan @ $59 only. On renewal, you will get a 40% discount. No matter what kind of website layout you have in mind, you can drag and drop it with the help of Themify Builder. They are in the market for many years especially in the field of WordPress theme development. Recently they also launched their page builder tool or you can say website builder for WordPress. More than 50 prebuilt layouts, animation effects, and compatibility, and many WordPress add-ons included. The Themify Builder comes for free if you purchase any of the Themify themes for your WordPress website. There is also a free version of the page builder which you can download and start using with any WordPress website. You can also only purchase the add-on bundle from Themify to get this drag and drop page builder. Themify Builder is available as FREE only. But with fewer features. But that doesn’t have much power. Although you can go for better themify builder. But their striking features are available in their add-ons. If you do not want to pay anything for your drag and drop builder, Page Builder by Site Origins is one of the top options. If you search for the best free page builder for WordPress, then this plugin will surely come as one of the leading. But the code is not optimized which makes your website loads slow compared to others. The plugin offers complete drag and drop support on the webpage editing canvas and you can use it for any of your web pages and posts. The plugin is compatible with all the WordPress themes and offers grid-based, responsive output. Moreover, you can also use it with several widgets from other plugins. One of the best features of this free drag and drop builder for WordPress is version control. While new versions of the plugin are regularly released, you get the option to use the version you are currently using or like the most. You can use this plugin as free also. In case you want to go for premium version then a single site license will cost you $29 only. As a beginner, you may not be interested to choose a premium plugin. but trust me you are delaying yourself doing this as design & visual look is very important to give your brand. I am rebranding my blog and I can’t afford to lose a single minute, that’s why I have invested in a page builder plugin. If you want a free page builder plugin? Start with Elementor plugin. This is a good way to taste how a page builder works and what are the limitations of a free page builder. You will get comfortable using them gradually. If you are a beginner and want to design using a pre-defined template? Almost every paid page builders like Thrive Architect, Elementor Pro, Divi builder comes with many pre-defined templates. But I would say go with Thrive Architect as their templates are high conversion focused and mainly designed to build your product review pages, lead capture, create sales pages. If you need more power than a page builder? Even if I am using Thrive Architect, it has a lot of limitations as a website builder. Here are a few of the limitations of Thrive Architect (Cons). Templates are not for your blog posts. You have to create one. Every time you import a template, it will overwrite your entire page. No common menu or sidebar section to keep the website theme or design aligned. So, better to try Divi builder for the more advanced website. Or if your need is to design the entire website then Divi builder is a good option. Why I Pick Thrive Architect for My Website? Personally, I don’t prefer to edit every single page with page builder plugin, Rather I would prefer to construct my sales pages or review articles using Thrive Architect. E.g. You can check out my Thrive Leads review article where I used Thrive Architect. I have created a product review template for this article. If I want to put the same template for other reviews, I can do that easily now. No need to use any additional coupon code or deals plugin. Yes, I have created this deals page for my website using Thrive Architect. Not only that, I have designed my custom home page, about us page, my toolbox and also contact us page using thrive Architect plugin. You don’t need to install a contact us plugin as well. I am a huge fan of ThriveThemes.com products and as I am using their many products it is easy for me to keep the color and integration easy. From the pricing point of view, it is very cheap compared to others. As I have mentioned earlier also, I am a big fan of Thrive Themes products and using few of their tools from the last few months. I found their products very much easy to learn & implement. That’s why I did not explore a new tool, even though Elementor & Divi is recommending by many marketers. But trust me, I am not at all regretting my decisions (although there are few drawbacks I found, which is ok for my design requirements) after using Thrive Architect (#1 page builder for WordPress) from last few months. The best part is, you don’t have to pay for life once you buy. I bought their 5 site license @ $97 only. So, what are you waiting for? Try any of these best drag and drop page builders for WordPress listed above [if you ask me I strongly recommend you to Try Thrive Architect only] and start building stunning pages like me. Feel free to share your feedback by writing a comment below.